Allow me to explain. In the early Undead campaign of Warcraft III, the evil undead prince Arthas invades the Elven kingdoms, which are defended by the stalwart and powerful elven ranger Sylvanas Windrunner. She fights nobly, but at the end is overcome by the undead scourge under Arthas’ command. 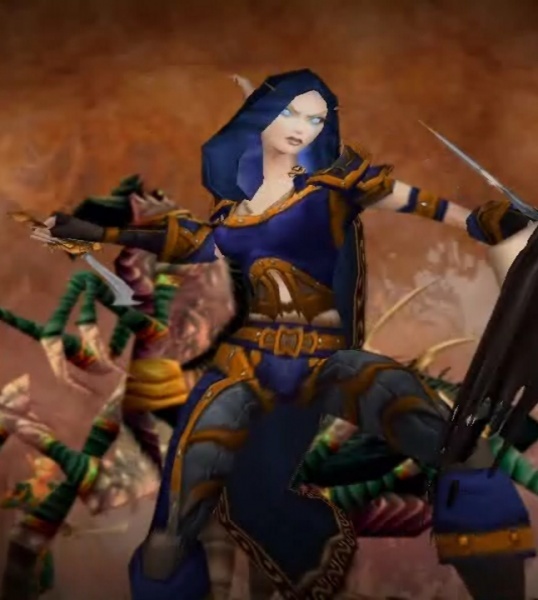 Rather than kill the defeated Ranger, Arthas turns her into another undead minion. By the time of the expansion set, Sylvannus manages to wrest control of some undead away from Arthas and creates her own kingdom known as the Forsaken. However, while she was once noble, she slowly gives into the dark corruption to which she was originally a victim. The result is that she becomes quite evil in her own right. She thus becomes both victim and perpetrator of the evil corruption she once stood in opposition to. By the time of the World of Warcraft, the now Queen of the Forsaken remembers (and is tortured by) her past even as she tries to pretend she has advanced over her original life as an elf. Unlike a simple disease, sin not only victimized us, but corrupted us, so that we began to desire to perform evil things. We were born in sin, and that sin made us rebellious to God. We thus now both choose evil and are victims of evil. This is why it’s a strange thing that people talk about God sending “innocents” to hell. Indeed, he does send people to hell, but they are, like all of us, tainted with the sin that is not only our “brokenness”, but causes us to desire to break things. In essence, there are no “innocent” people among us, because we all bear the corruption. There are no innocents. We are all people who await only our opportunity to rebel against God, and since God can see the heart, He knows this. We are all quite literally dead in sin; as Sylvanus Windrunner is dead in the corruption of undeath. I feel that your interpretation of Sylvanas Windrunner is wrong. You claimed that Sylvanas turned “evil on her own right”. This is definately incorrect, as stated in the Sunwell Trilogy comic book. Lor’themar stated that Arhas had casted several evil spells which twisted Sylvanas’ soul, rendering her evil. She has still clung on to the belief that she should defend Quel’Thalas, despite that fact that all the other (alive) elves have rejected her. My claim is that Sylvanas became evil in her own right. The point that Arthas performed spells on her to corrupt her soul does nothing to change the fact that her soul is corrupt and thus she acts afterwards out of that corruption (thus furthering it). Evil is not a positive power but is the corruption of something that is good. 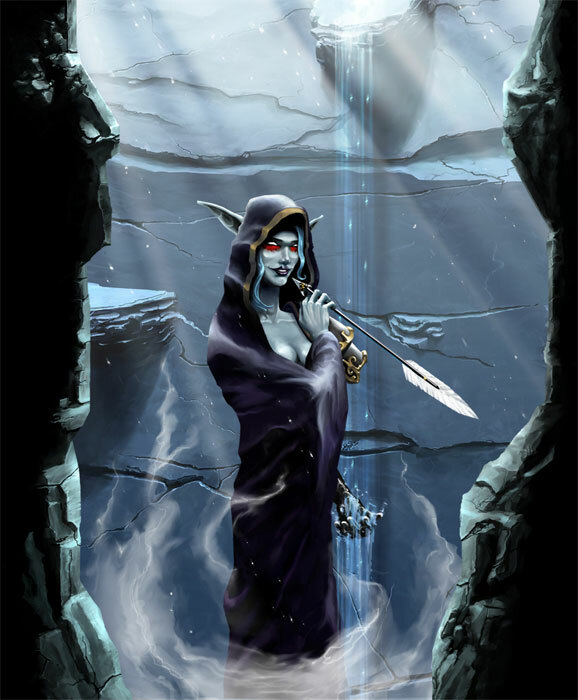 Sylvanas is evil precisely because she IS (and remains) noble in many of her desires and inclinations (such as her profound loyalty to Quel’Thalas). She is evil because she acts and reacts from corruption. That she is a victim of external corruption first does not change the fact that she is now (in her own right) corrupt, and she simply is dark. When you are corrupt (as I believe all humans are), you act from corruption. You will evil. How the corruption is caused is immaterial. Ah, good point. So you mean to say that she was corrupted but now also chooses that corruption even after breaking free from the mind control aspect of the spell? No wonder it’s such a tragic story, because I think we can each resonate with it in how we wish we were better but are well aware of at least some of our failings, though without wanting to plague all the Living to death (hopefully). Also quite philosophical and theological is Sylvanus’ full embrace of her state and her hate rather than seeking some kind of redemption or “cure” for her undeath. “Dead in her sins” so-to-speak. Who will rescue her from this body of death? Any resurrectors up in here? Erik, I dont know if this is relevant, but Sylvanas can be revived, as stated by the lore. The only that this will happen is if a god grants her a wish (becoming alive again). Sounds about right to me. The Makers (I forget what they’re called in WoW) would be those gods I guess.